Search results for "holiday dishes and recipes"
Every one of these holiday main dishes is not only a dazzling addition to the table, but also appropriate for friends and family members with diabetes. Get ready to indulge in our tastiest holiday recipes. Warning: Do Not Lick Your Screen. Eat your favorite holiday dishes guilt-free. The editors at Cooking Light share their tips for slimming down classic holiday dishes. Celebrate the season with this A-list roundup of dishes inspired by our favorite Christmas movies. Discover which of our holiday recipes are most popular among your fellow pinners! It’s certainly no secret that regional differences dictate our holiday table. So whether you’re celebrating in New England, the South, or the West, we have recipes for you. No Christmas party would be complete without a festive bowl of holiday punch, so spread some good cheer and make spirits bright with these festive holiday drink ideas to serve a crowd. Whatever your flavor preference, you can find the perfect thirst-quencher to satisfy guests at your next holiday bash. To make these drink recipes kid-friendly, simply omit the alcohol. Little ones can help stir up playful sweets for holiday party fun or gift giving with these kid-friendly holiday recipes. When the oven is already packed with other holiday dishes, this stovetop vegetable side saves time and space. 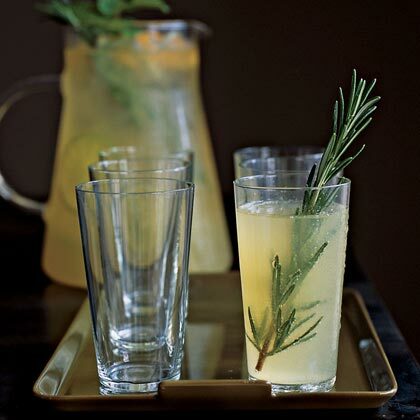 Carry Porter of Kirkland, WA wasn't willing to miss out on a moment of the party by making cocktails one by one, so she created her "herbaltini" in a pitcher. This refreshing drink "combines the fresh herbs that many people have left over after cooking holiday dishes," she explains. 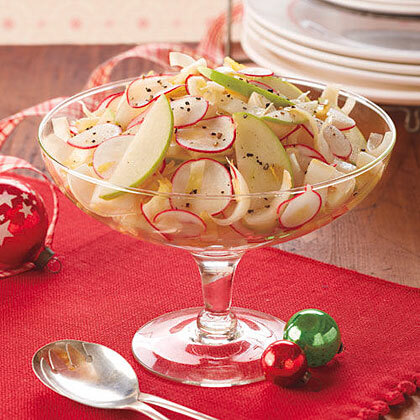 This palate cleansing Endive, Radish and Green Apple Salad pairs well with heavier holiday dishes. Transform your holiday leftovers into dazzling new dishes and give yourself the night off. 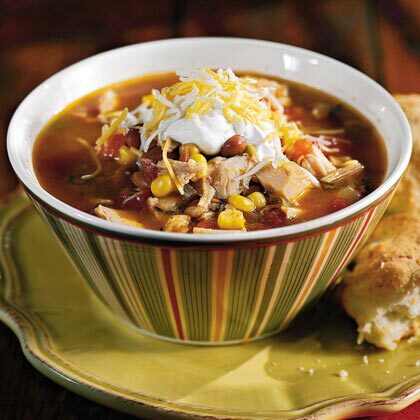 Give your taste buds a wake-up call by switching from sweet and savory holiday dishes to this zesty turkey soup. Pair chicken and sausage to make some absolutely delicious and robust one-dish meals that are guaranteed to be family-pleasers. Hearty, satisfying, and so tasty, these zesty meals offer a break from the bland and boring and let you dive into incredible flavor territory. From classic jambalaya to pizzas, pastas, and soups, these hearty meals are sure to become favorites. For the lactose-interolerant, holiday spreads can be a war zone that usually involves suffering so you can enjoy your favorites. But most of us are avoiding a simple truth: Enjoyable feasts don't require milk or cheese. The following recipes are free of heavy cream and similarly harsh dairy products, so sensitive tummies needn't worry. As an added bonus, most of these recipes are vegan or only require a few adjustments.